We are back with another issue of ‘Best of Beacons this Week’. This week we’ve got a great lineup of beacon articles in store, including a few interesting IoT projections for 2020 to how cross licensing of customer data could be the solution to data ownership when leveraging a 3rd party app. So sit back, sip a cup of coffee and check out the stories we have lined up for you. Many research sources have recently announced IoT growth projections for the years ahead. While they are all not the same, they are substantially large. According to a recent report by BI Intelligence, currently there are 10 billion devices connected to the internet and that number is projected to rise up to 34 billion devices by 2020. 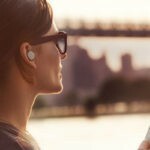 Meanwhile, IDC predicted that the number of connected devices will amount to 30 Billion by 2020, while IC Insights projected it to rise up to 25 Billion connected devices by 2020. No matter which projection turns out to be the most accurate, the direction is clear and the numbers are large. The BI Intelligence report also predicted that beacon-triggered messaging will generate $44 billion, going ahead. Check out this article to learn more about some interesting projections on the massive scale at which IoT will change the way businesses function. The rise of beacons has encouraged marketing teams all over the world to rebuild and re-launch their existing apps to take advantage of the possibilities beacons open up. At the same time, a good number of retailers and brands who don’t have an app in place, choose to integrate with a 3rd party app that has a large user base. Both these approaches come with their own set of advantages. While the former allows to learn from customer feedback and use it to enhance your brand value, the latter approach allows you to reach a large audience immediately without growing your app base organically. But the tricky part in the latter approach lies in data ownership. And more often than not, the retailer or brand in their eagerness to start using beacons, accepts the 3rd party app’s demand for ownership over customer data. Fortunately there is a solution to this – cross-licensing of the data, where both parties(the brand and the 3rd party app) have rights and access to customer data. Check out this article to learn why Unacast strongly advises their partners at PROX network to follow this approach to taste success. 3. Will Beacons Replace RFID? With the recent advent of IoT, RFID tags are fast prepping themselves for the second act by becoming an essential component of IoT implementation. According to a recent report by by IDTechEx the total worth of RFID market is forecasted to rise upto $13.2 billion in 2020. While this makes it sound like RFID is fast taking over the world, there is one other technology that has influenced the advent of IoT equally – iBeacon technology. 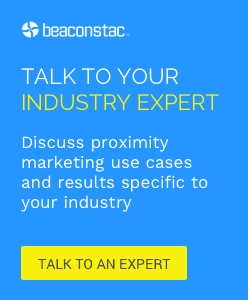 In recent times, beacons have been leveraged by a number of industries across various verticals in their quest to make the most of contextual intelligence provided by these proximity detection devices. Given all this, it is not surprising that some of the questions that keep surfacing in most of our client conversations are: Will beacons ever replace RFID tags? 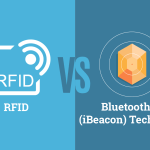 Check out this article to learn if beacons will ever replace RFID tags and if so what are the advantages of doing so. The popular MTR Crossrail of London has been contracted by Transport for London (TfL) to provide services for the Crossrail parts of the capital’s underground railway system, is due to go into full operation in 2019. One of the primary objectives behind this MTR Crossrail project is to pinpoint the location of their staff on the network and to inform them about the latest on schedules, services and maintenance tasks, in areas where GPS is not available. As a part of this initiative they have currently installed 500 beacons across the 12 TfL Rail outdoor stations and have around 2,500 beacons all set to be rolled out to all MTR Crossrail stations over the next four years. While this beacon deployment limits the usage of beacons for employees alone, going ahead MTR plans to use the system for messaging apps to track customers travelling from station to station and provide them with travel information, and potentially use iBeacon technology to replace ticketing. Check out this article to learn how MTR Crossrail plans to use beacons to connect with their staff in order to transmit relevant information and make their lives easier. Avocados From Mexico, an organization that manages marketing of Mexican avocados in the U.S., is turning its AvoLifestyle initiative into digital data through a partnership with Under Armour’s MyFitnessPal, a weight loss and fitness tracking app. Users can register for the AvoLifestyle Challenge, a contest encouraging participants to log 15 meals that include a serving of avocado this December, via the MyFitnessPal app. Winners get a customized meal plan from a nutritionist and will be entered to win a $500 Under Armour gift card. Adding on to that, Avocados From Mexico is gradually converting its 1,000 branded grocery displays to mobile beacons that will promote its iAvocado app and recognize devices that have downloaded it. All the data captured from the group’s email marketing and digital advertising, in-store beacons, social media interactions and other efforts are managed by NectarOM, an omni-channel marketing platform to allow for precise targeting. Check out this article to learn how Avocados From Mexico is leveraging beacons for the same.